The Wyoming defense and special teams did not score directly but they did take my advice and improved on it greatly, forcing a Wyoming school-record seven turnovers (2 fumble recoveries and five interceptions). These turnovers led to five touchdown drives of 3, 29, 16, 30 and 38 yards in a 42-3 Homecoming blowout of Bob Davie and his Lobos. The highlight of these turnovers had to be the first one where defensive end Carl Granderson intercepted his second pass of the season and ran the ball 37 yards to the New Mexico three-yard line setting up Josh Allen on a QB sneak for the opening score of the football game. The Cowboys took a 7-0 lead at the 2:37 mark of the first quarter and never looked back as New Mexico scored their only points of the game on a 42-yard field goal early in the fourth quarter when they were trailing 42-0. While the passing game was somewhat efficient for Josh Allen who completed 16 of 28 passes for 234 yards and four touchdowns the running game is still a major concern for the Cowboys. The Pokes ran the ball 32 times for a total of just 88 yards for a 2.3 yards per carry average. With eight games now in the books and just four football contests left, it would be unrealistic to think the Wyoming running game will get sorted out. Wyoming will have to follow the recipe of defensive turnovers and Josh Allen in the passing game to score points to win games the rest of the season. That recipe isn’t bad as it has helped the Pokes reach a 5-3 record overall and 3-1 in Mountain West play but I’m sure the coaches and fans would welcome some life in the running game. Next up for the Cowboys is that school to the south. The Rams of Colorado State will bring their 6-3 and 4-1 record into War Memorial Stadium next Saturday for the annual Border War. The game will mark the 108th meeting between the two schools and the 50th game which the schools will play for the Bronze Boot. 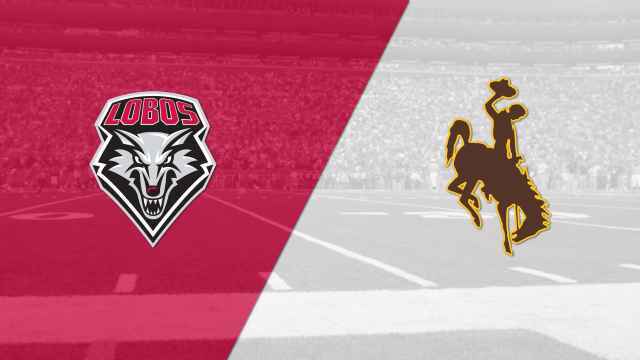 Kick-off is at 5pm in Laramie and the game can be seen on the CBS Sports Network.